The responsibility for the views of each individual lies with the individual. Ultimately each person makes the choice for themselves how they approach the world and the people in it. However, the information that sits behind those choices can be the responsibility of a much wider collective. As suggested by the title of this article I genuinely believe that one of the major factors at play in the upsurge of racism and bigotry in our country is the role of the media, both from the position of actively promoting intolerant views and also for not doing enough to block intolerance from a prime position in the public domain. The most crucial mistake in my view goes back to when the terrorist organisation ISIS first appeared in print and on television screens. This self styled “Islamic State” group should have been called anything, absolutely anything at all, by our press except Islamic State. Reporting on a minority terrorist organisation with a name that suggests a definite link with the entire Islamic religion has caused serious and significant confusion in the public which in turn has led to a massive uplift in hate crimes against Muslims with anti Muslim hate crime jumping 200% in 2015. The terrorist group’s unwarranted title also suggests a legitimacy that ISIS cannot lay genuine claim to. They are shunned by both Muslims and non Muslims worldwide. The newly coined term “Daesh” which I believe ISIS intensely dislike was a good idea but it was too little too late. By then the damage was done. Whilst giving the foreign ISIS a legitimacy their status doesn’t warrant our newspapers were also busy printing ill-advised headlines at home. 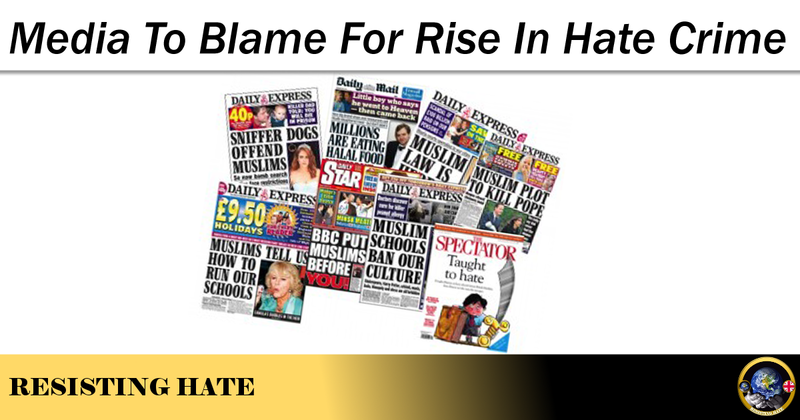 The Mail in particular seemed to relish the opportunity to create divisions in communities with headlines including “Muslims tell us how to run our schools,” and “Britain goes Halal.” This in my view is not unbiased impartial reporting it is sensationalism deliberately designed to court controversy and widen, in particular, the post Brexit rift between followers and non followers of Islam. The primary danger of these headlines is that people believe them. If the front page of a popular tabloid tells you Muslims are the enemy, some people are going to believe it. Worse, if people see hate speech freely expressed in the tabloids the danger is those people then go and emulate it. The tabloids then have to go further and further to retain the shock value that sells newspapers and eventually we end up with the likes of Katie Hopkins referring to migrants as “cockroaches” and Kelvin Mackenzie openly attacking a female Muslim newsreader for her personal choice of dress. The media have pushed and pushed at the boundaries of what is acceptable to publish under the guise of free speech and freedom of the press until now it appears even abuse is something we can expect to see in our newspapers. But in the modern era of social media newspapers are not the primary source of information for the public. A poll by Pew Research Centre 2 showed 63% of people use Facebook and Twitter as their primary source for the news. The concern with this is that the news provided by these channels is not regulated and can often be factually inaccurate or biased. This begs the question of who is responsible for the hate some of the more extreme social media advocates are putting into the ether. It is not enough to say Twitter and Facebook are platforms for free speech. Hate speech is not free speech, it is inflammatory speech and often intended to motivate readers of social media to take their hate into the real world. A specific and tangible example of this is the Britain First Facebook page which is used to motivate their followers to attend meetings of an Islamophobic focus. 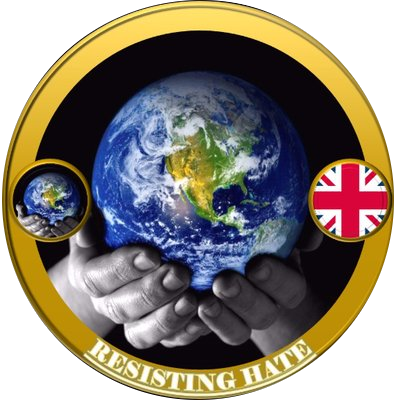 Another example is the hash tags on Twitter where like minded racists like the EDL for example can gather to “recruit” new members to their cause. Both Twitter and Facebook are the despair of anti hate groups all over the country for their unwillingness to tackle hate on their social platforms. 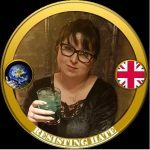 Facebook routinely insist that Britain First do not contravene their community standards and I speak from experience when I say that my anti hate group has put many, many reports in about certain individuals on Twitter – who routinely incite actual harm against Muslims- but we have had little success in getting them banned. Looking at some of the tweets Twitter deem appropriate it is hard to understand what value the social media giant believes these people are bringing to their platform. It does not take much imagination to understand where this diet of hate, initiated by the press and perpetuated by social media will end up. People are becoming steadily influenced to believe that it is acceptable to hold discriminatory views against others in their community. As these views become more and more mainstream this will increase the divide between faiths, races and cultures and lead to a schism from which there will be no going back. Although I maintain that people cannot abdicate their personal responsibility for their beliefs or their actions by blaming others, it has to be acknowledged that the views of the populace are being stoked by the information they are being fed. I would like to believe firmly enough in the innateness of human goodness to think this diet of hate will have no impact but it would be naïve of me to do so. Unless it is checked, this increase in hate speech will lead to violence on the streets and when it does much of the blood spilled, in my opinion, will be on the hands of the media.